Family hour starts at 6:00!!! 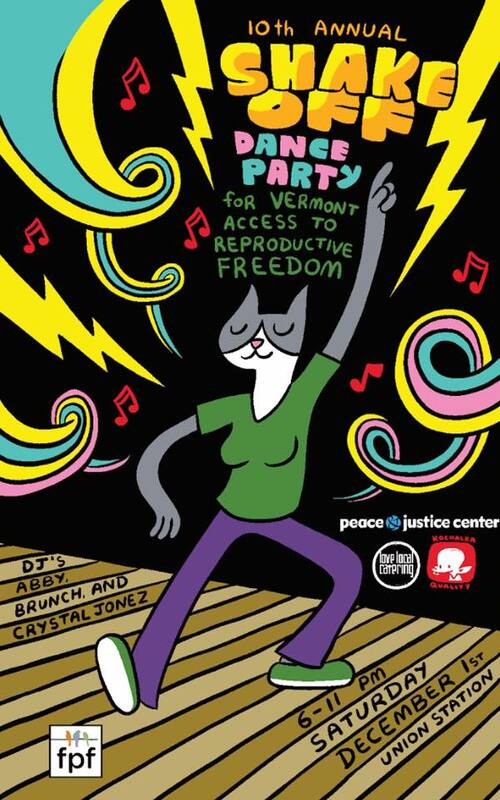 10 years ago, we had a vision of an annual party with awesome DJs and people ready to boogie that could bring in funds for Vermont Access to Reproductive Freedom. Now the Shake Off, called the best dance party of the year, is a mainstay of Vermont Access’s fund. If you aren’t familiar with Vermont Access please visit their pages. Cosponsored by Love Local Catering, Peace & Justice Center and Front Porch Forum.